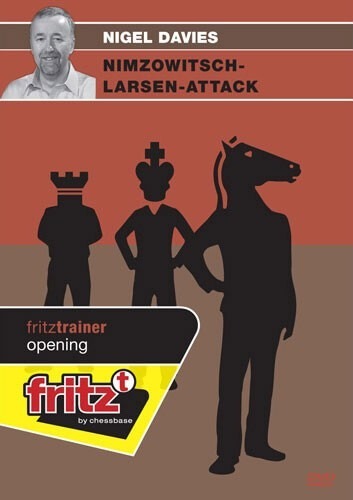 The Nimzowitsch-Larsen Attack with 1.b3 (or 1.Nf3 followed by 2.b3) is an opening system that has been rather neglected by the theoreticians but can prove deadly in the hands of the skilled tournament player. Leading exponents of this move have included both brilliant attacking players such as Ljubomir Ljubojevic, Albin Planinc and Artashes Minasian and positional players such as Tigran Petrosian, Mark Taimanov and Vladimir Bagirov. Even Bobby Fischer tried it in several games instead of his favourite 1.e4. And the greatest exponent of this system was the legendary Danish Grandmaster, Bent Larsen.White's set up emphasises flexibility, often adapting his position to what Black does in reply. This can prove quite lethal to opponents who like to play a single predictable set up as Black and even strong players can go badly astray when confronted by the unusual problems it poses. On this DVD Davies arms the viewer with insights into how to handle things and demonstrates how he thinks White should meet Black's main defences. Using examples taken from the practice of leading exponents of this opening he explains the strategies clearly and concisely.